The days of Tashreeq are the days of eating and drinking. Pelting must be performed after Zawwal (midday) on the 11th and before Fajr on the 12th. After Zawwal, preferably before or after Asr when there should be less of a crowd, proceed to the Jamarat with about 30 stones. You will need seven stones for each pillar but keep some spare stones with you, just in case you need them. It is Sunnah to pelt Jamarah al-Ula (the small pillar) first, followed by Dua, then Jamarah al-Wusta (the middle pillar), followed by Dua and finally Jamarah al-Aqaba (the big pillar), with no Dua thereafter. Dua should be made standing away from the crowd, facing the Qibla. If Rami is performed in a different order e.g. the big Jamarah is pelted first, it won’t have to be repeated nor will a penalty be due, although it is contrary to the Sunnah. Please refer to this article for the procedure on how to perform Rami al-Jamarat. Before Zawwal (midday) – Not allowed to pelt. After Zawwal (the beginning time of Dhuhr Salah) until sunset – Sunnah. Try to perform Rami between these times, provided it isn’t too crowded. Between sunset and Fajr Salah – Disliked (Makruh) for men*, but still valid and permissible for women, the elderly and the infirm. *It will not be disliked (Makruh) for a man who is a Mahram to perform Rami with a woman who is pelting at this time. 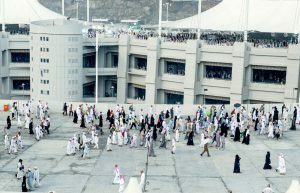 Upon completion, return to your camp in Mina and spend the day in worship, making most of the remaining time you have. If you have not completed any of the rites of the previous day, you may do so today. On this day, you do exactly the same as the previous day i.e. pelt all three Jamarat. Pelting must be performed after Zawwal (midday) on the 12th and before Fajr on the 13th. Ensure any remaining rites you haven’t yet performed are completed before sunset on this day or a penalty will be necessary for each one missed. If you want to leave for Makkah after you have performed Rami, you should do so before sunset. Departing after sunset is Makruh (disliked), although permissible without incurring a penalty. If you’re still within the boundaries of Mina by the start of Fajr Salah on the 13th, it becomes Wajib (obligatory) to perform Rami on this day. Omitting Rami once it has become obligatory will result in a penalty. It is worth keeping in mind that the Jamarah al-Aqaba (the big pillar) is inside the boundary of Makkah rather than the boundary of Mina. Therefore, providing you get to this point before Fajr Salah on the 13th of Dhul Hijjah, you won’t be obliged to perform Rami on this day. It’s a good idea to travel to Makkah by foot since vehicular transport is quite chaotic on this day. Anas bin Malik رضي الله عنه narrated: The Prophet ﷺ offered the Dhuhr, Asr, Maghrib and the Isha prayers and slept for a while at a place called al-Muhassab and then rode to the Kaaba and performed Tawaf round it. Omitting this, however, won’t result in a penalty. Although not necessary, it is desirable to remain in Mina on the 13th of Dhul Hijjah and perform Rami on this day. 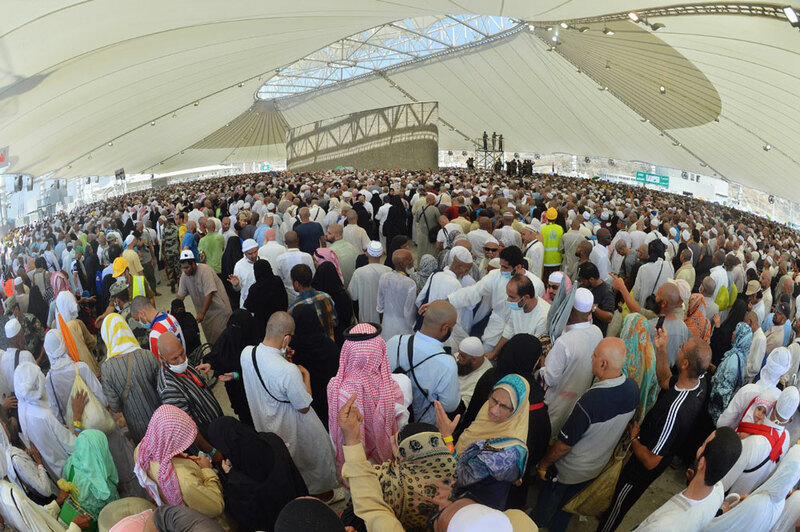 By this point, all rites of Hajj should have been performed. 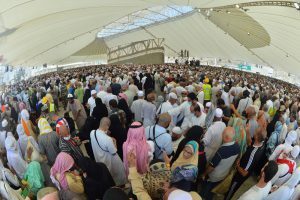 If you do make the intention to stay in Mina, make sure you have sufficient food and drink as most people would have left for Makkah on the previous day. After the beginning time of Fajr Salah until Zawwal (midday) – Makruh (disliked) but permissible. After Zawwal (the beginning time of Dhuhr Salah) until Sunset – Sunnah. The window ends immediately at sunset. A penalty will be due if Rami hasn’t been performed by this point. On completion, leave Mina for Makkah. You may use private transport or walk. Tawaf al-Wida (the farewell Tawaf) also known as Tawaf al-Sadr is the last rite performed before departing from Makkah. It is Wajib (obligatory) and must be performed prior to leaving the boundaries of the Haram. Omitting this Tawaf, without a valid reason, will result in a penalty. 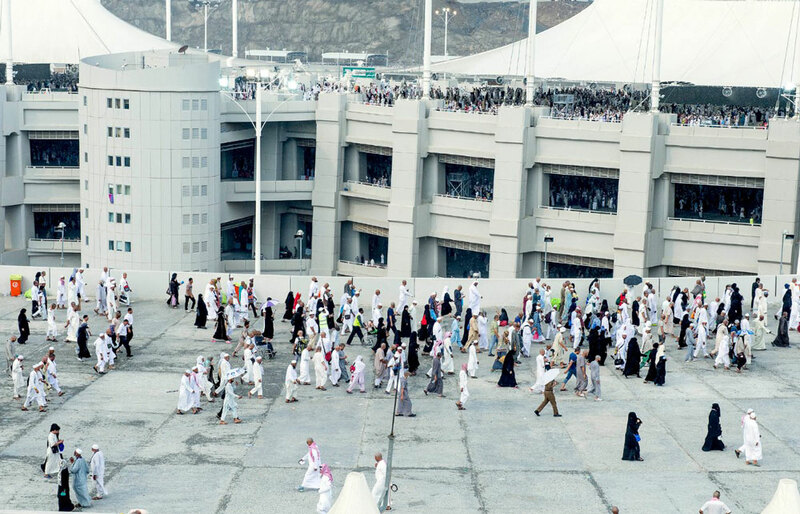 Women in a state of major ritual impurity, as well as residents living within the boundary of the Haram, are not obligated to perform this Tawaf. Ibn Abbas رضي الله عنه narrated: The people were ordered to perform the Tawaf of the Kaaba (Tawaf al-Wida) as the last thing before leaving (Makkah), except the menstruating women who were excused. Tawaf al-Wida may be performed any time after Tawaf al-Ziyarah although it is preferable that it is performed prior to departure from Makkah. Therefore, if you’re planning to stay in Makkah for a few extra days, you may perform normal Ibadah as you did prior to the days of Hajj, ensuring you perform the Tawaf just before you leave. Any Tawaf performed after Tawaf al-Ziyarah will count as Tawaf al-Wida, even if its intention was not made or an intention for Nafl Tawaf was made. Complete the seven circuits of Tawaf and perform two Rakats of Salah at Maqam Ibrahim thereafter. You should also drink some Zamzam water. Please note, Raml (uncovering your right shoulder in Ihram) or Idtiba (walking briskly) should not be practised during this Tawaf. There is no Sa’i thereafter, nor should the hair be cut. Refer to this article for a detailed guide on Tawaf. Your Hajj is now complete. May it be accepted. Ameen.